Casino games are known for being unfair. After all, if the house didn’t always win, why would they exist in the first place? In the majority of instances, this logic is completely sound, but blackjack happens to be one of the few exceptions to this rule. Unlike most other casino games, your strategy and skills can actually make a big impact on your game. Winning at live blackjack consistently is not easy, but with a little bit of learning and a lot of practice, it can definitely be done. Before continuing, you need to make sure that you understand the rules of the game completely; hit vs. stand, what it means to double down, etc. You can only have a real chance at winning once you have a firm grasp on the basics of the game. Even then, live blackjack is still a game of chance and you cannot expect to win every hand. You have to play as well as you can and then hope for the best in the long run. However, we will aim to make sure that you have the best head start you can have with our list of strategies that should bring the house edge down! When it comes to playing blackjack live, one of the first things you can do to ensure your winning streak is to pick a great online casino to play at. With so many options available on the market nowadays, this is no easy feat. Luckily, you won’t have to spend hours trawling through Google to find the best live casino as we’ve done all the dirty work for you. Our trusty team of casino experts have put their investigative skills to work and successfully managed to draw up a list of the top online casinos where you can play live blackjack. When compiling this list, we took into consideration factors like streaming quality, the dealers’ personality, the outcomes of the games as well as the number of live blackjack options available. This thorough approach should guarantee you the best pick of live casinos for your blackjack gameplay. What’s more, we make sure to update our list on a monthly basis so you’ll always be kept updated on new live casinos that may pop up. Even after you have picked your live casino, which is an important decision, you still have to decide which blackjack table is right for you. The rules of your table will ultimately determine how you play. Pay attention to whether the dealer stands on all seventeen’s, or if they are supposed to hit on soft seventeen’s. Also, the limits of your live blackjack table are crucial. If you pick a table with limits that are too high, you may lose your bankroll too quickly. This is especially true if you are a new player. In fact, if you don’t have much experience at all, it would probably be smart to start by playing for free to get a feel for the rules of the game. Free blackjack can even be useful for veteran players who need a little warming up before putting their bankrolls on the line. Always pick a live blackjack table that has suitable limits for your bankroll. When picking a variant of the game, consider the house edge. The lower this is, the better as this means that it is more likely to pay out. Go for variants with a house edge of lower than 1%. Keep to your blackjack strategy and don’t get carried away and bet more if you find yourself on a winning streak. Sticking to the plan will always pay off. Late positions are better as you can check out the cards that have already been played. There’s no denying that a good ol’ casino bonus is instrumental in helping blackjack players to get more bang for their buck. Many online casinos, like Genting, now offer live casino bonuses to their members as an incentive to play on their site. When you come across such an offer, you should take advantage of it while you can! Knowing the game rules before you start playing for real money is essential. Since no two blackjack variations are the same, applying the same strategy to different games is counter-productive. Start off by learning the specific rules of the variation you’re about to play before settling on a strategy for that game. How much does it pay out? How many decks does the shoe consist of? When and how many times can you split your hand? Is splitting aces allowed? Is there the option to surrender? This is the kind of information you should be seeking out in order to find the perfect blackjack strategy. Most blackjack strategies are founded on logic and mathematics. This is one game that has more to do with skills and numbers rather than luck, superstitions or rituals. If your maths skills aren’t quite up to scratch, however, don’t fret. You can still make use of some tried and tested live blackjack strategies without having to rack your brains too much. Using basic strategy cards, like the one provided here will help you to make the right decision whatever happens throughout gameplay. Strategy cards like these are super useful since they give players a visual representation of how to play against the dealer according to what hand you’re holding. Card counting is another strategy to use in live dealer blackjack, This tactic helps players follow the amount of high and low cards in the shoe, thereby giving some indication as to what might follow. There are a finite number of situations that can occur in live blackjack, and each one of them has an ideal response. Some of these situations are obvious, but unless you are uncommonly smart, you will want a reference for playing blackjack properly. Luckily, there are simple charts all over the Internet that tell you how to play based on your current hand and the dealer’s visible card. Since you are playing online, you can have one of these charts up on your screen at all times and feel totally comfortable referring to it. Assuming that you follow the advice of your strategy card every time, the house edge will be reduced to only half of a percent, which is excellent. 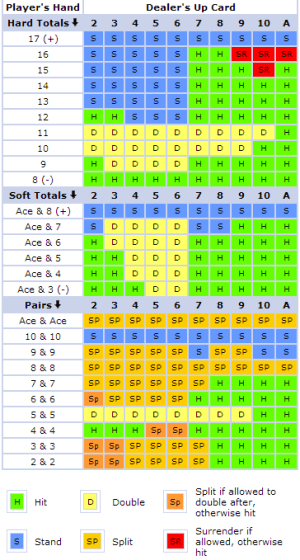 You just have to make sure the strategy chart you use corresponds to the number of decks in play and the dealer rules regarding soft seventeen’s. Not only will using a chart help you play live blackjack perfectly online but as you get used to making the right decisions, it will be easier to transition your game into a traditional casino setting. Note that the perfect blackjack strategy is automatically the default when playing in a live blackjack game with an early payout option. Give this strategy a go now at Exclusive Bet! Card counting is a legitimate blackjack strategy, but forget what you have seen in the movies. You don’t have to be a genius to count cards. Basically, card counting involves counting how many high and low cards have been dealt from the deck. If you have seen either a lot of high or low cards, then there are fewer of those left in the deck. Knowing this can give you some insight into the ever-changing chances that your dealer will bust. Since you are basically looking for a stacked deck, card counting will not work in a standard online blackjack casino. You need to either play live blackjack online or take your game to a brick and mortar casino. Card counting is doable but difficult because you cannot afford to make any mistakes. Your advantage over the house can only be maintained if you always make the right decision. Remember, practice makes perfect. 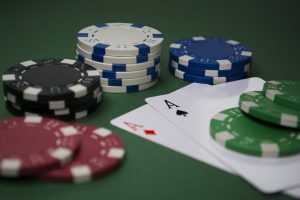 There are many different card counting strategies, but once you pick one, stick with it and master the technique. Ultimately, no matter what strategy you use, nobody can guarantee that you will win every time. Even if you have a statistical advantage over the house, you will have to play a lot of hands and aim to win over the long run. It’s called The Law of Large Numbers for a reason! Any of these variations and sidebets will either spice up your gameplay or give you the opportunity to win some more money as you play. So check them out and see if you can find the perfect blackjack gameplay for you! What’s the difference between playing virtual blackjack and live blackjack? Strategy-wise, not much. Both the live and virtual versions of this popular table game require the same skills. However, virtual blackjack is operated by random number generators to ensure all outcomes of the games are fair and random. With live blackjack on the other hand, players will play against real, professional dealers and not against computer programs. In this way, not only will you feel more like you’re in a physical land-based casino, but the outcomes of the game will depend on the skills of the dealer to a certain extent. How do I interact with the dealer? Most online casinos offer a live chat feature that allows players to communicate with both the dealer and the casino manager in real time. What’s more, while you will be able to see the dealer on your screen, they will not be able to see you. They will have access to basic information about the game and receive your chat messages which they may respond to orally. Do I need to download any software in order to play live blackjack? Generally, no. Many reputable online casinos offer the option of playing live games like blackjack, directly by streaming in your browser. That being said, you’d do well to make sure your browser is updated and you have all multimedia plugins installed to ensure streaming goes off without a hitch. 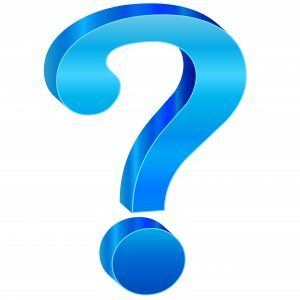 Can I play live blackjack on my smartphone or tablet device? Absolutely! A lot of great online casinos like Codeta, ensure that all live games are conveniently accessible from all mobile devices so you can get those authentic casino thrills whether at home or on the go. We hope you’ll take on our advice on board and implement the best game strategy for the blackjack variation you’ve set your sights on. Also, keep in mind that a good live casino bonus won’t hurt either so make sure to choose the best live casino that rewards you for your custom.This should help you achieve your desired results ie boost your winning streak and make some decent cash when playing live blackjack. Finally, remember to enjoy yourself! The purpose of the game should be to have fun and let off a little steam, while perhaps making some nice wins in the process. However, don’t let yourself get carried away and spoil all the fun. If you believe that your live blackjack playing is becoming an addiction or taking a toll on other areas of your life, be sure to get in touch with an organization like GamCare to seek the support you need.